Flash photography is one of the easiest ways to detect a life-threatening eye cancer called Retinoblastoma. The tumour can develop in young children from birth and often reflects back as a white pupil. Early detection is the key to saving their sight and their lives. So we developed CHECT Flash Photo Posters to show parents that they can detect eye cancer in their child simply by taking a photo. Taylor’s mom, Tina Treadwell, was planning to submit an adorable photo of him to a modeling agency, but when his aunt Geraldine saw the images, she noticed something unusual. She spotted a sort of “shadow” in the reflection of Taylor’s pupil that reminded her of something she had read that had said such a “shadow” could be a sign of eye cancer. 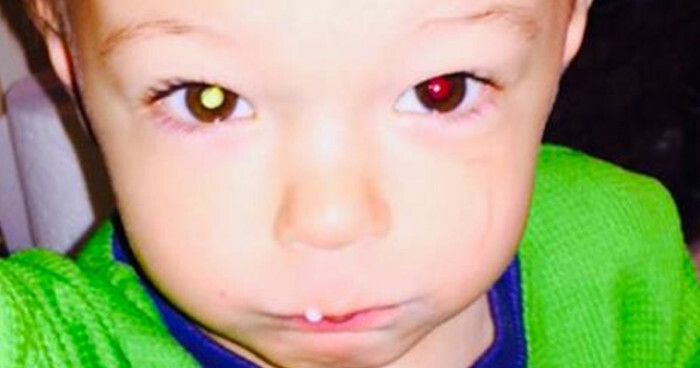 After the doctor took a look at little Taylor, they had discovered that he did in fact have a rare case of the childhood eye cancer: Retinoblastoma. Any parent with a smartphone or a regular camera can check to see if their kid has that spot or “shadow” in order to deal with it as soon as possible and potentially save their child’s life. Check out the video for more information! It’s incredibly informative. W-Sitting in Toddlers, a Big No-no!